This interview marks the beginning of a new occasional series of interviews with the founders and editors of African literary websites. Our hope is to collect the stories of the early efforts in African online literary publishing. First up is Ivor Hartmann, founder of the pan-African fiction site, StoryTime. Rob Taylor: What was your background in the arts prior to founding StoryTime? What experience did you have in writing? In publishing? Ivor Hartmann: I have been involved primarily in the arts since I finished High School in 1991. I wrote fiction and poetry for many years before I left school, and occasionally afterwards until 2007 when I returned to writing in earnest. Previous to StoryTime I had no experience in publishing at all. Taylor: What was your primary motivation for starting StoryTime? What goals did you set for yourself in making the magazine? Hartmann: After returning to writing I naturally began to investigate publishing markets, especially local publishing, and was wholly underwhelmed by African publishing in 2007. In particular, there seemed to be a real dearth of literary magazines and even more so for anything but general fiction. So rather than moan about it I endeavoured to do something, and the StoryTime magazine was born. My goal was simple, to publish short fiction by African writers, with a zero budget. Taylor: Can you explain, briefly, the basic structures of StoryTime (the website’s layout, publication scope and frequency, and the organizational/editorial structure of the magazine), and how they fed into/served your motivations for founding the magazine? Hartmann: Acting on the prime directive of a zero budget, and the severe limitations involved in that, I knew it had to be a digital publication and the platform used had to be free and easily internationally accessible. Seeing that blogs were in effect a free website that could be tailored into a magazine with some basic HTML knowledge, I set up StoryTime on Google’s Blogger − which had the advantage over other blog sites in that it was very stable, had a foreseeable longevity, and one’s word tags were free adwords for Google’s search engine. Being new to HTML, and publishing on the whole, it was very much a learn-as-one-went-along process, so the magazine layout evolved over time until I had a format that I felt worked and was efficient for both the reader and in the publishing process. In the beginning I was publishing works as soon as they came out of editing, it was pretty erratic. It took a while to build up a decent submissions and editing queue and then I switched to publishing one story a week, which was what I could handle. From the beginning to the close of the magazine I was the sole editor and publisher apart from Emmanuel Sigauke who took over for me during my annual two week holiday, and a few guest editors in the last year. There were a few reasons for this among them was that this was a non-profit, zero budget, non-funded (on purpose) publication, so I could not pay anyone for their time. Another was that I realised that editing every day vastly improved my own writing craft. Also, being set to a weekly publication meant that reliability in editing to a final work in time was paramount. Taylor: StoryTime put a particular emphasis on displaying each published story as its own mini-publication, complete with a “cover image”. Why was this important to you? Hartmann: I wanted each individual work to receive maximum exposure on the home page for its first week of publication and not get lost in the crowd as happens with a multiple work publication. It also served to maintain a frequency of publishing that kept readers actively engaged with the site. Being an artist it was instinctive for me to create an interesting cover artwork for each work, which also worked well online especially in the sharing of links to the work across multiple platforms. Taylor: Why did you choose to make StoryTime an online magazine? Had you ever considered making it a print magazine from the start? Hartmann: On a zero budget and a complete unwillingness to be funded in any way (I’ve had too many bad experiences with funded projects) an online publication was the only viable route open to me. So no, I had no inclination to make it a print magazine; I did however want to publish a digital and print anthology eventually, either from the magazine or separately, as soon as I had the experience and pool of work to draw on. Taylor: What do you think of as the major hurdles in running an online magazine (as opposed to a print magazine)? The major benefits? Hartmann: I don’t know that are really any major hurdles if one has the time and determination, sure there are limits but most often limits nurture innovation and creativity when combined with determination. Obviously the main benefit is in not needing a huge capital outlay that a print magazine usually requires, but this can also be said of Print On Demand publishing, given a ready marketplace for it. Taylor: Of those hurdles and benefits, which, if any, do you think are particular to working in an African environment? Hartmann: A particular African hurdle is that for most writers our main publishing languages of English and French are not our mother tongues (of which there are over 100 widely spoken languages and over 3000 less so, not counting dialects thereof). So in particular it’s a hurdle for new writers and in editing with them their works, but like anything when the determination is there it is soon overcome. I do however think that there should be much more publishing in local languages but this is no easy task for a publisher. Taylor: Did you encounter any particular challenges, which you haven’t touched on yet, in running an online magazine in an African context? If so, what were they? Hartmann: In the beginning bandwidth was a serious problem, everything took ages to work, upload, etc. so a near infinite patience was totally required. This did become easier over the years as service providers improved their infrastructures and affordability, but it is still a problem for many African countries. Taylor: At its peak, how many hours a week were you devoting to the operation of StoryTime? Hartmann: From the beginning till its close I spent on average four hours every day for nearly six years on the magazine. Taylor: Wow! So much work! I commend you for that. Similarly, at its peak, how much money were you spending per year to keep StoryTime afloat? Did you have any revenue streams to combat the expenses? Hartmann: I spent nothing but for a basic internet service and my time, and the magazine generated no income. Later the African Roar anthology was launched (and StoryTime as a micro-publisher) and this did, and does, generate some income. Taylor: Speaking of African Roar, when in StoryTime’s timeline did you begin producing these print anthologies of the magazine? What motivated this development? Hartmann: African Roar was launched in 2010, so four years after the magazine started. The anthology was something I wanted to do from the beginning. In 2010 I felt I was ready, Emmanuel Sigauke was keen to co-edit, and we had a good-sized pool of work to draw from. Also the advent of mass e-readers enabled me to form a realistic publishing model for a micro-press, that is to say StoryTime publishes the e-book edition first with no expenditure but time and its sales fund the POD print edition. 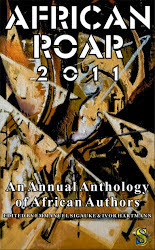 2014 will be the first African Roar published solely from submissions only for it. Emmanuel and I have also started alternating our editing of it rather than co-editing, last year was the first year of that with Emmanuel being the sole Ed. for African Roar 2013. Taylor: Why did you decide, in 2012, to close the StoryTime magazine? Hartmann: By 2012 the online African literature magazine scene was vastly improved from when I started in 2007. And, as much as I loved the magazine I needed to move forward with other things, including my own writing. Taylor: Though the online magazine is no longer in operation, African Roar is - as you've mentioned in previous answers - still running. This seems surprising, as the general wisdom is that print publications are more onerous (in terms of finances, distribution, production, etc.) than online magazines. Why has it continued on past the life of the online magazine? Hartmann: A combination of factors made StoryTime viable as a micro-publisher of the African Roar anthology and other anthologies after the magazine closed. The main one I’ve already covered is my publishing model, one that was not possible until fairly recently. Some of the others are time, experience, profit, and exposure. In terms of time, an annual anthology takes up far less than a weekly magazine. After the years of the magazine and editing the anthologies with Emmanuel, I had accrued enough hands-on experience in publishing to be able to continue as professional micro-publisher. Whilst I never minded that fact that the magazine would never earn a cent, and in fact preferred it that way, as a publisher with quite a few ideas for the future I needed StoryTime to become a financially viable entity, which it has begun to. The magazine and anthologies have built up a reasonable reputation with African writers, enough so that when we put out a call for submissions we get a large enough pool to be able to produce quality publications. Taylor: You've mentioned Emmanuel Sigauke, your co-editor on African Roar, a few times now. 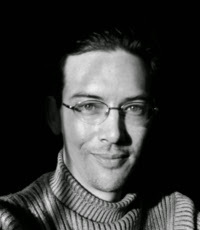 Emmanuel is a US-based Zimbabwean author (and past OGOV contributor), you are a South African-based Zimbabwean, and the publication itself features the work of African writers from around the continent. In other words, it’s very much an international project. How did you first get in touch with Emmanuel, and how do you work with him now? Hartmann: Emmanuel was one of the first contributors to the magazine whose work as a writer, literature professor, and editor, I much respected, so for me he was an obvious choice to ask for help as a relative newbie, and he was gracious enough to do so. We have worked very well together since we started on African Roar, we share similar work ethics and great passion for African writing, and I hope we shall continue to do so as StoryTime grows. Taylor: Even though African Roar is a print publication, do you think it could have come into being without being preceded by the website? Hartmann: I think it could have, sure, but it would have been a much harder start, both in terms of a publishing model and my own learning curve. Taylor: If you could speak with a young writer who was interested in starting a new literary publication (either print or online) in Africa, what one piece of advice would you give them (Africa-specific, or otherwise)? What one pitfall would you suggest they avoid? Hartmann: Be utterly determined to achieve what you have set out to achieve, tenacity trumps talent. Don’t listen to your critics unless they have something truly constructive to say, and then listen well and don’t be afraid to change how you are doing things. Taylor: Looking back now over your time operating StoryTime, do you think you accomplished the goals you set out for yourself? If so, what made that possible? If not, what prevented you? Hartmann: I certainly did, I set out to publish African writers from an independent pan-African platform, internationally, which I did, and continue to do so. What made it possible? The factors and variables are too many to track, but initial sound impulse and applied determination formed a solid base that enabled me to achieve my goals. Taylor: Beyond the continued publication of African Roar, what are your literary goals going forward? Any recent projects, or new ones on the horizon? Hartmann: I have too many ideas about what I’d like StoryTime to do, but primarily I am seeking to address the serious lack of genre fiction from African writers. Sure there has been a surge in Crime (mainly driven by South African writers) and Romance (mainly driven by Nigerian writers) fiction in the last ten years, but all the rest is woefully lacking. This was why end of 2011 I put out a call for Science Fiction and in Dec 2012 published AfroSF, the very first pan-African Science Fiction anthology that was open to submission to all African writers at home and abroad. I am currently putting together volume two of AfroSF for 2014. So that’s been my start in publishing genre fiction and I hope to over the next decade to publish more anthologies, each addressing a specific genre. Inspiring responses from Ivor... Where can we get a copy of African Roar to buy please? Thanks Julian. The African Roars and AfroSF are all available on Amazon.